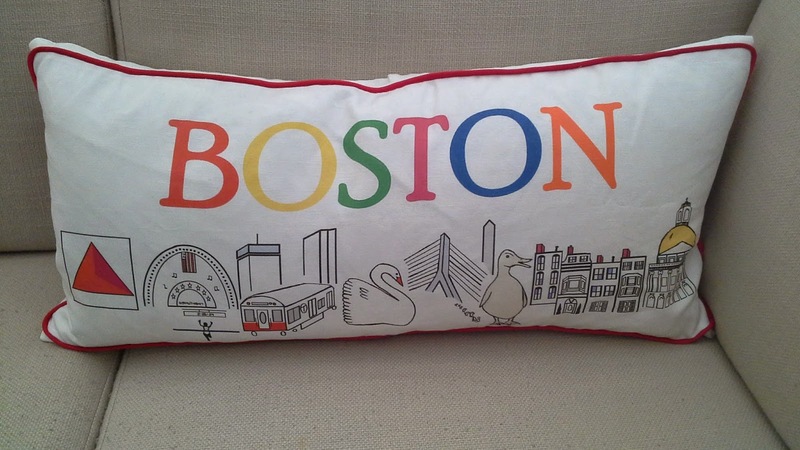 cityette - ABC Boston: The long(est) awaited Boston pillow has arrived! 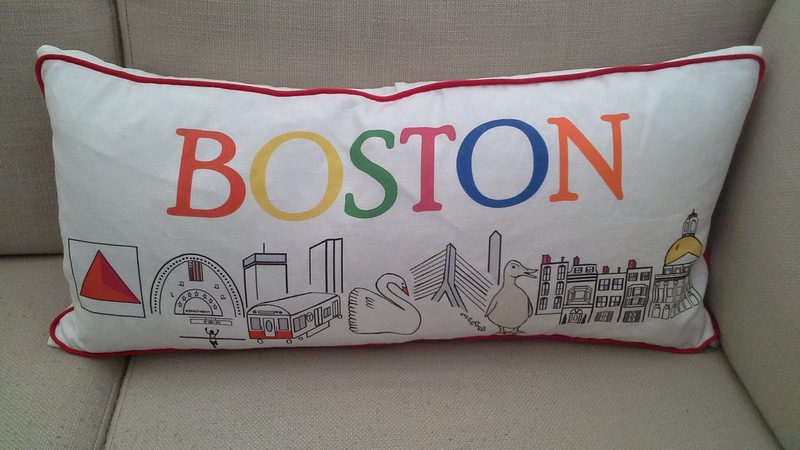 The long(est) awaited Boston pillow has arrived! I wish I could say I was not at all excited about how this pillow came out, but it would be a total lie because I. AM. SO. THRILLED!! EEK! I had hoped that this pillow would be completed sometime in July, but things got delayed and then I had two babies, and life got away from me a little bit in terms of my ability to do anything except care for my kids, in the most amazing way. 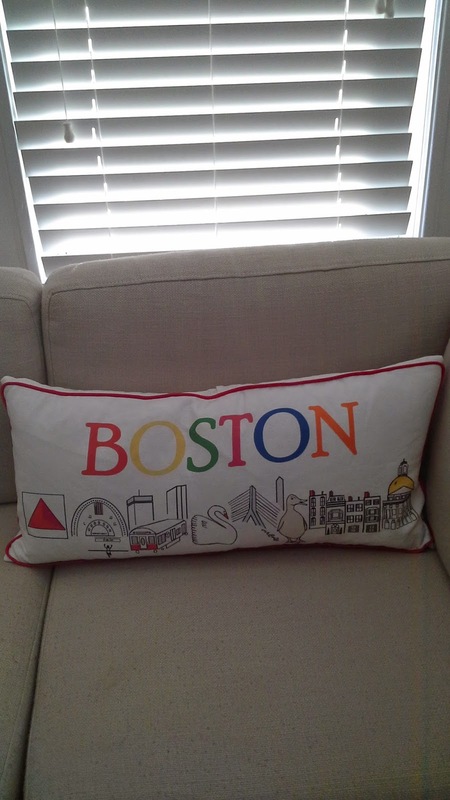 But not to fear, I called in my trusty Mom to pick up my slack and advised her on what I was looking for in terms of the pillow's general design and left her to her own creativity in terms of general assembly. She did a great job, no? So good of a job that I can't list this for sale in the Etsy shop, mostly because I didn't physically make the pillow so it'd be cheating, technically, but also, because it's looking so lovely and cheerful on my couch that I can't bear to part with it. My mom learned a few things in her general assembly method, so I've learned what to do, and conversely, what not to do, and so we'll be putting these together in the next few weeks to list in our shop before the holidays. Not sure if you can tell exactly the pillow's scale in the photos, but it's 27" long and 13" tall, which is perfect for propping your head up while reading or watching some TV. Honestly, this pillow is so great.